Gardeners never tire of having a look at what worked. Yeah yeah, we do also observe our failures, but that’s another (probably and forever unavailable) post. This blog follows on the heels of what annuals and tender bulbs will perform spectacularly from mid to late summer into the fall and sometimes, to first frost. Now, let us look at our outstanding perennial choices. 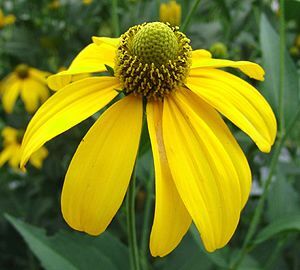 Coneflower: Full sun rudbeckia-autumn-sun “herbstromme” This one is a show stopper that doesn’t show up until mid to late summer. It begins as a tall deeply cut leaved curtain (it nearly seconds as a privacy screen) reaching a height of about 4 or more feet, which lasts until frost. 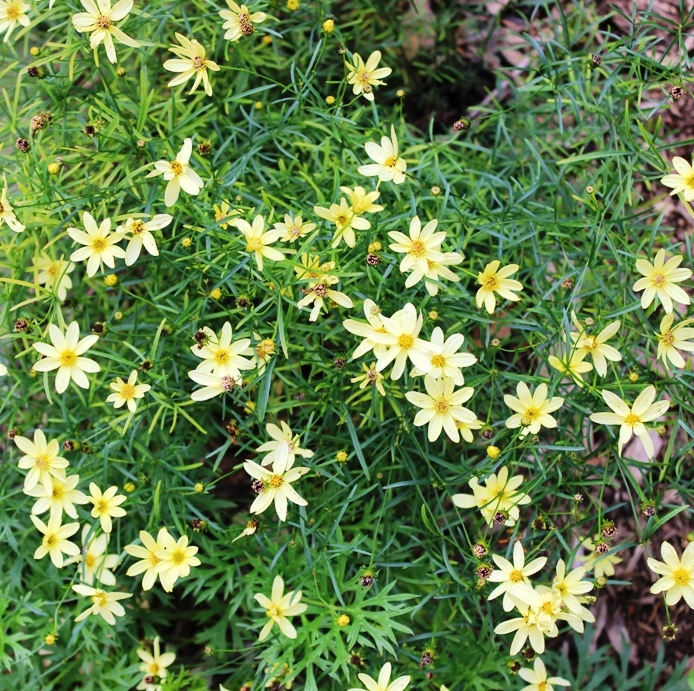 If you have lots of room and a sunny spot in the back of the garden, it grows to a massive mature height of about 6 feet, with gorgeous drooping blooms, delicately swaying in the late summer breezes. Hardy Hibiscus: full sun. Another slow starter, with very little to show itself for, really, just shrubby greens. In the mid to back border, it’s really unassuming, looking like just another shrub and that’s a great place to plant it. But then, its showstopping blooms burst out in mid to late summer. I particularly love ‘disco belle’ as it features three different colours of massive flowers (8 inches or more). 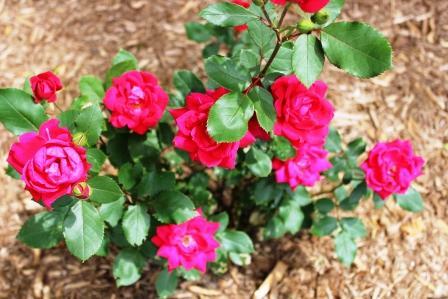 Shrub Rose, Knock Out Red: full to part sun. This year I purchased a bare root rose from one of the big box stores (I know, I know! I usually never do this, but for $7.99 it was an irresistible audition for one of my favourite plants). It hasn’t disappointed. Still an infant, it’s been blooming happily. There’s always a rush of flowers, followed by a short siesta before it gets its steam back and keeps on blooming. I’ve seen rose blooms clinging into mid-November. It really is that fabulous! Japanese Anenomes (grecian wildflower) for dappled shade gardens. 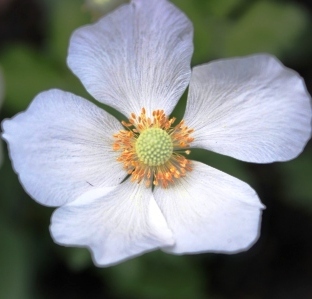 Ranging from simple single flowers, to double bloom varieties in myriad pastel colours, these lovelies are known as windflowers as their high stems of blooms drift in the winds; it’s always a pleasure to say hello to this beauty in the late summer through fall. Do note there are spring and autumn varieties to choose from. Choose both! 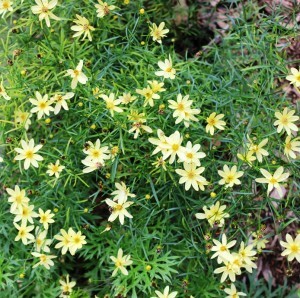 Coreopsis verticillata ‘Moonbeam’. My all time favourite, that also does extremely well in part shade conditions, again, who knew? What I love about this flower is first most its ferny foliage, very delicate looking and quite sweet before it even flowers. 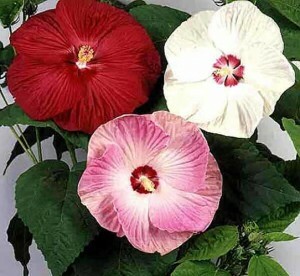 Once it starts blooming its creamy star blooms, it won’t stop, if you give it a hand by deadheading. As there’s so many blooms, I generally take the scissors to it and snip off the spent tops. It will steadfastedly do right by you into cold temperatures. Admittedly, the name does no justice. 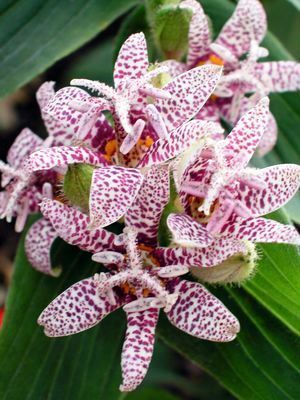 If you have a moist shady spot in the garden, you need to find yourself a toad lily. A vigorous but clump forming spreader, it sends up deep green shoots to three feet, and by mid to late summer you’ll discover exotic looking blooms that hang on till first frost.